LA Partyart puts the "Art" in the Party! A Northshore based entertainment company serving St. Tammany and surrounding parishes. 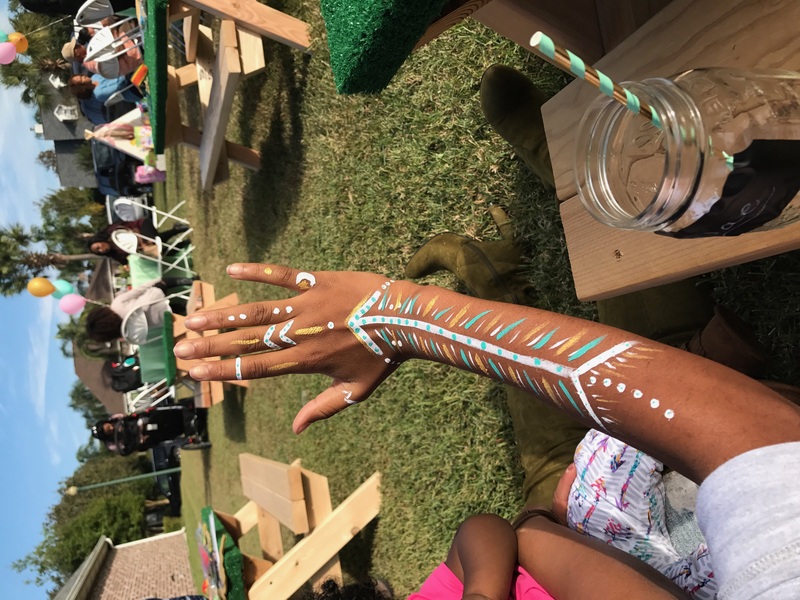 Our services offer premiere face painting, whimsical balloon art twisters/centerpieces, themed caricatures, waterproof face painting, body painting,& clowns at Private or Corporate Events! We can provide several award winning artists for all your special events! Art is our passion, "A Smile says it all"! She was great!!! 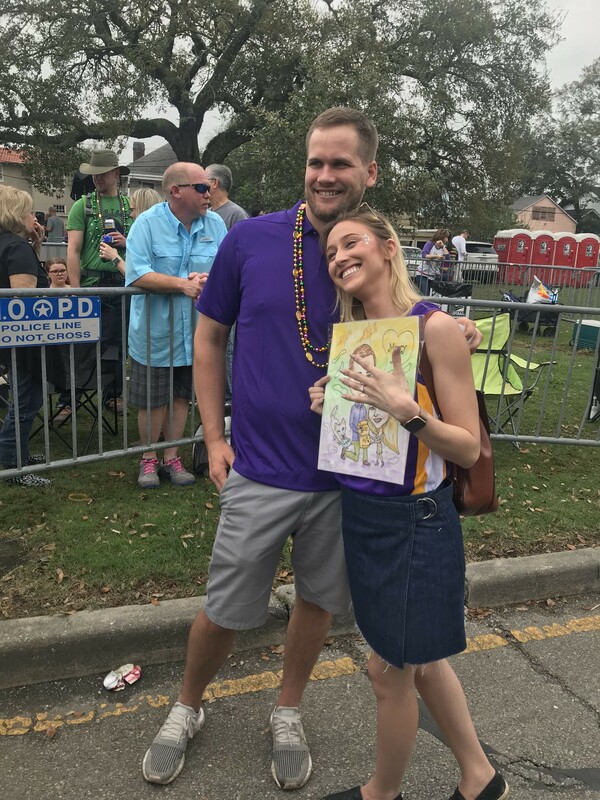 Helped out with my proposal idea and played along perfectly. The art was really done well also. She even got our dog in there!!!! 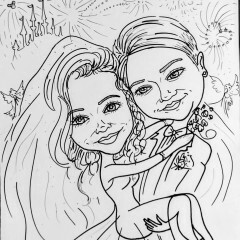 Anna “Peanut” made our wedding memorable by providing adorable caricatures of our guests! It was a unique option to a photo booth and she stayed longer than we estimated. 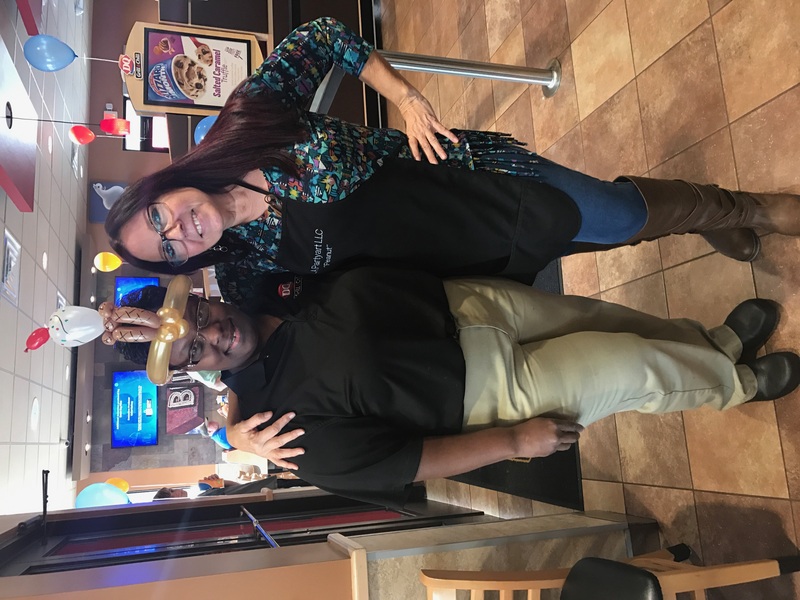 She went above and beyond for our guests and we are so grateful! Thank you Kelly , it was a fabulous fundraiser, we got rain & made rainbows!! So much fun!!! Very happy with LA Partyart. It was great entertaining your fun & happy guests! Thank you! Interacted with the kids very well. The kids loved their face paintings and balloons. It was a great party & theme, thank you so much, delightful! I love her! Our face painter showed up early to set up. My father in law is taking too long to get the pictures to us but I really wanted to post pictures of the children with their artwork. We had some adults join the fun too! My regret was that I did not get some body artwork! I would book her again in a heartbeat!!! Thank you Thuy, it was my pleasure! A phenomenal party & great people! I appreciate everything & look forward to entertaining y'all again! Anna did an awesome job! The children enjoyed having their picture drawn and faces painted. Anna did a beautiful job on the children. Thank you for a great time with everyone celebrating Nevaeh's 10th birthday! The perfect addition to our party! I was so pleased with Anna's services. 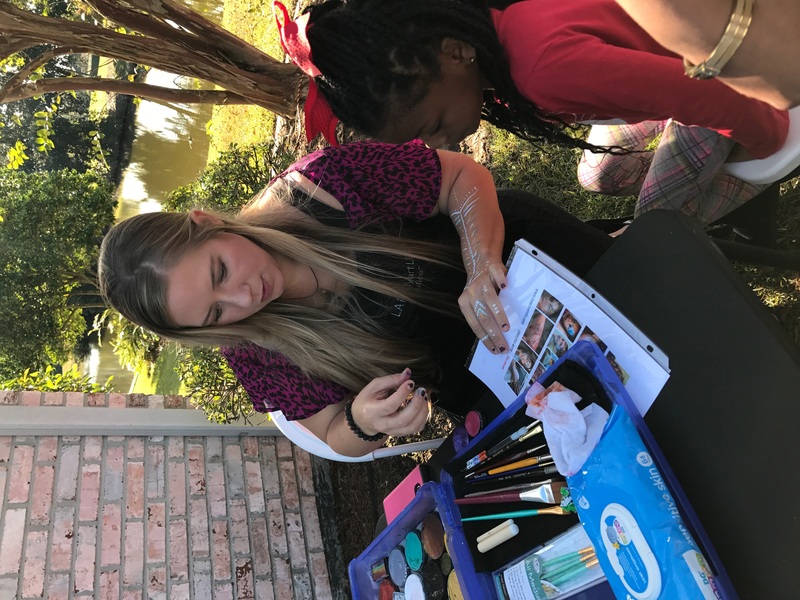 She was great with our guests, she did quality work, and I would recommend her to anyone in search of face painting and balloon art. Thank you so much! It was a pleasure entertaining y'all! 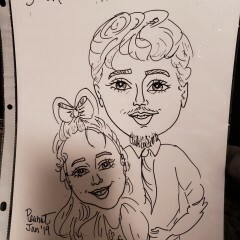 LA Partyart LLC did a phenomenal job at my wedding this past weekend. All the parents and kids enjoy the face painting. I definitely recommend booking them! Thank you! It was a pleasure entertaining your guests! Peanut was great! She was very patient with all of the guests - age range 3-6 - and created beautiful pieces of art on each girls face! They all loved the facepaint! Peanut was also very easy to work with in the planning process! Thank you! It was a pleasure entertaining your wonderful guests! Your girls are the sweetest little angels! I appreciate it! It was fun, exciting, & a pleasure entertaining at your sweethearts surprise event! Wonderful family & friends! Thank you Chris! LA Partyart did an amazing job entertaining our customers! It was so much fun & delightful entertaining everyone! Thank you! I came to this website and really just liked her pictures of her Facepainting. She was easy to communicate with. Easy going. Then the party day came! I will use her for every party now. Her work is outstanding. She made my daughter feel like the birthday girl! It came with a character drawing of her. It's the most precious thing. She did the balloons that were a big hit! I really had no idea how awesome she was going to be. 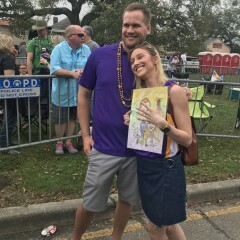 Thank God I went with her! Thank you Allison! I had the best time entertaining your guests! It was my pleasure! Happy Holidays! 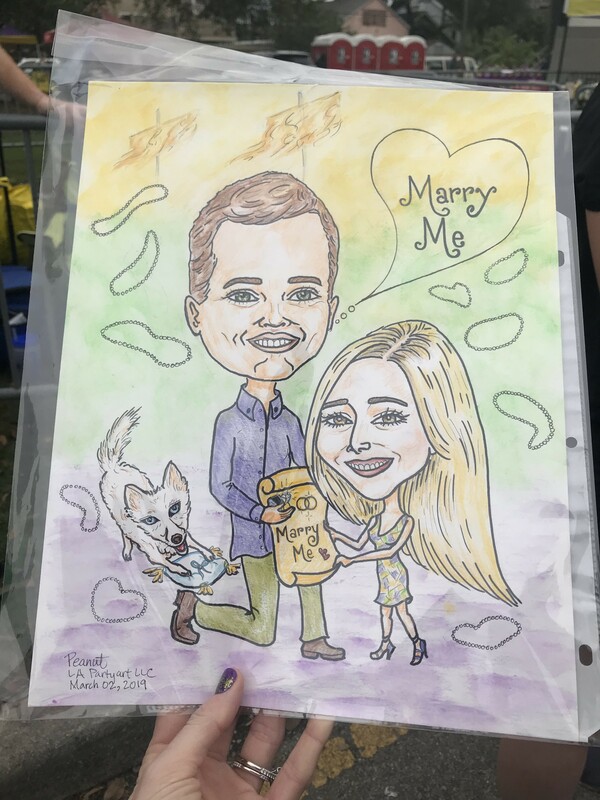 She is the sweetest and thoughtful cartoon caricaturist. You won't regret hiring her. Thank you so much Tram, it was my pleasure entertaining your guests! Great baby shower! Lovely couples!!! 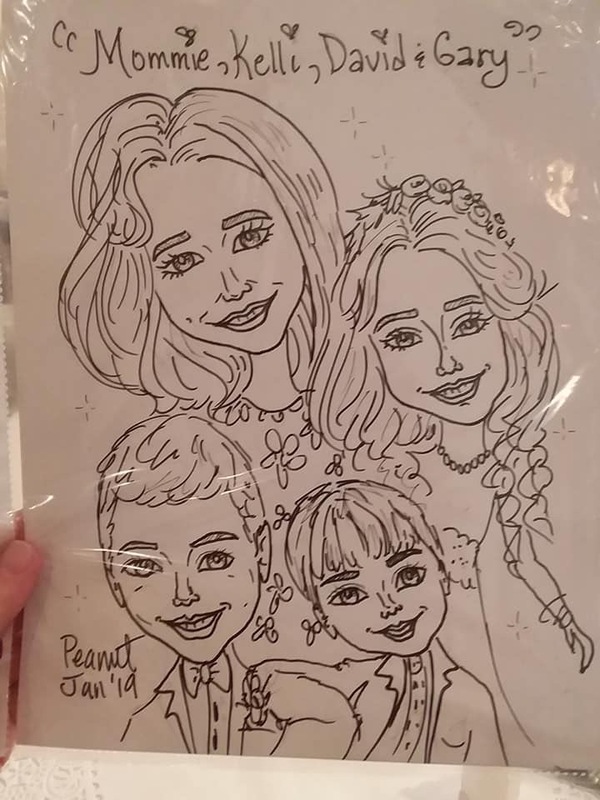 I recently used their services ( face painter and caricature artist) for my daughters first birthday party. They were friendly, on time, energetic,delivered great services. I would definitely recommend them to those looking for entertainment that will take your party to Next level. They were a big hit! We were delighted to entertain at your daughters 1st "Indian Princess" themed birthday party! It was the ultimate party! A perfect day with the greatest people, host & hostess! Your decorations were amazing, showcasing the party theme! Thank you Mr. & Mrs. Gerald, we appreciate having been a part of your daughters special day! We had a wolf themed birthday party. She painted all of the girls faces as wolves and even created a new board for the party. She was friendly and pleasant and the girls loved her. Madeline's parents surprised her & her guests with the Wolf Party Theme, it was sensational! All the girls & young man, had a grand time; fabulous party! 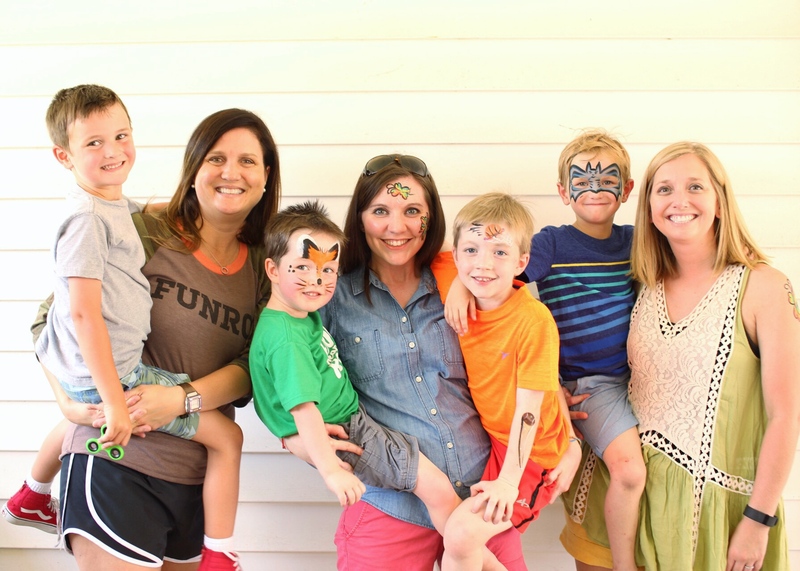 Their face painting creations are worth a thousand words! So much fun! Great people! Anna aka "Peanut" was amazing! She was great with both the kids and adults. She was very interactive and amazingly gifted. Her facepainting and balloon animals were the life of the party. We would definitely recommend her services to our friends and family! It was my pleasure entertaining at Mylani's 1st birthday party! Kim's family & friends are so much fun & hospitable. The cake, food & decorations were wonderful, such a loving family. I feel so blessed to have shared such a special memory with all of them. Thank you so much! Peanut has a God given talent and she uses it to the fullest. She put a smile on all the kids faces and that's what was important. The face paintings and balloon art was the excitement of the party. She is very kind and patient. Thank you so much! I will be sure to use LA Partyart again and will recommend the company to everyone. It was a fabulous party! The setting, gorgeous decorations created a great atmosphere! I was excited to accomodate some of the children with special requests of hero themed facepaintings! Everyone was so welcoming, the children all polite, a beautiful birthday child, family & friends! I appreciate & enjoyed entertaining them so much! Thank you! 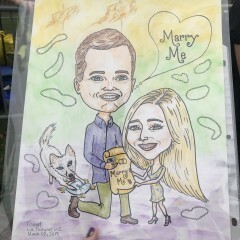 Peanut, of LA party art, did an awesome job! She was very friendly, professional and prompt! 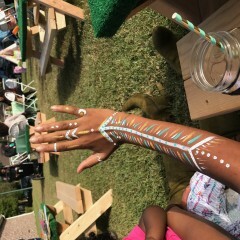 She is truly talented and the kids, and even adults lol, absolutely loved their face painting. 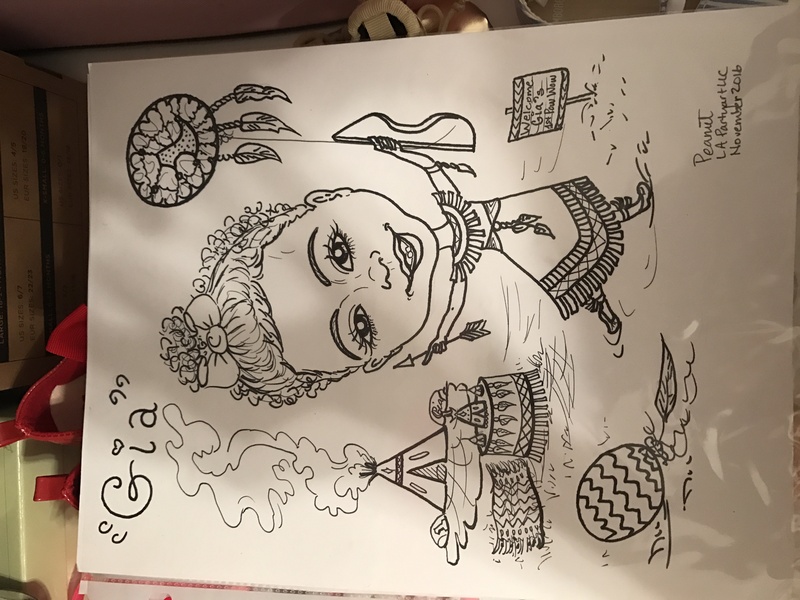 She also drew a caricature of my daughter as a birthday gift and that added a nice touch to the party!! I will definitely be using her again! Thank you so much Kelly, it was a wonderful party! I appreciate it! Happy New Year! 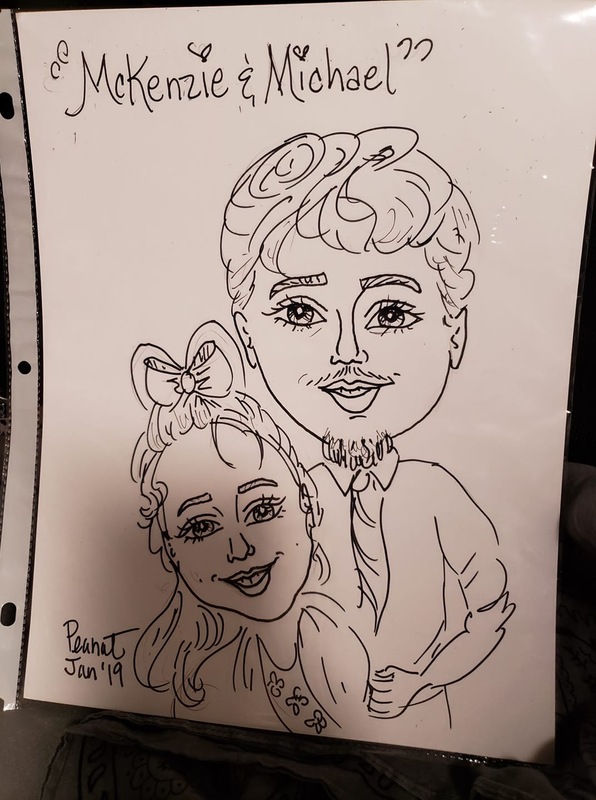 We booked La Partyart for my twin girls' 5th birthday party and Lautice was the artist. She was absolutely wonderful!! 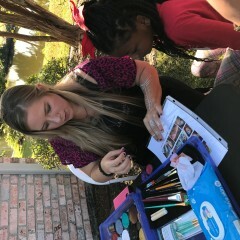 The kids and adults enjoyed her face painting work! The kids also enjoyed the balloons she made them. She was so good with the kids...there was a line the whole time she was there because she was so popular. My girls said that she was their favorite part of their party! I would definitely book her again for another party! Thank you Lautice! It was my pleasure to entertain your beautiful twins & guests at your fabulous party! I love bringing the "Art" to the party! Thank you so much, I appreciate it! LA PartyArt was amazing! The quality of painting and ballon work was great. Lautice was great with the kids and very patient with the rain that washed off some of the paint.. She was very efficient and the artistic talent was awesome! The face painting was absolutely amazing! 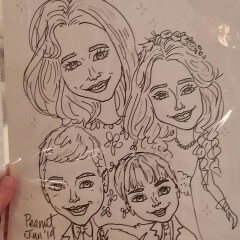 Mrs. "Peanut" is very talented. The balloon centerpiece she made was so detailed. 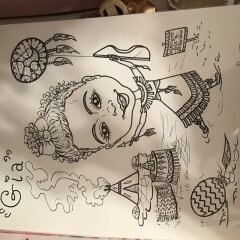 My daughter loved it all including the fantastic caricature she drew. 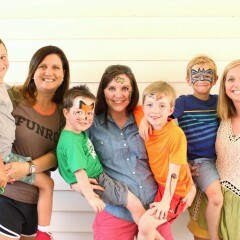 I was so impressed by how great all the kids' face paintings looked that I had to get my face painted too. My mother in law,who never poses for pictures, got her face painted and let us take pictures of it! I will definitely use LA Partyart for more of my parties! Amazing vendor with incredible talent! I used LA PartyArt this weekend for my 5 year old's "Frozen" party. LA PartyArt showed up with a ballon centerpiece to match the theme and a caricature of the birthday girl. I had her do face painting and balloons. She had a constant line of kids the entire time. She was so patient and stayed longer than scheduled. She was a huge hit and would recommend her over and over to anyone looking to add something extra to their party! Anna did an awesome job. She is truly talented and does beautiful work. Very happy with her! 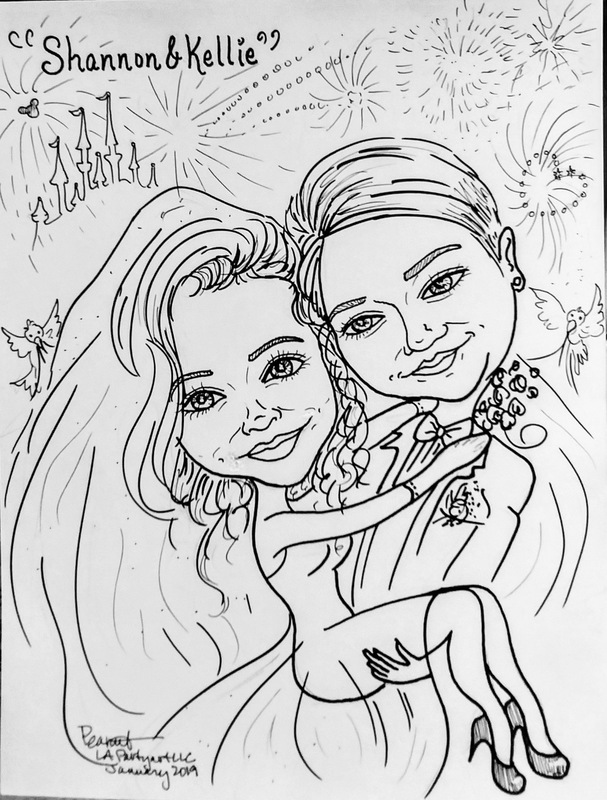 LA Partyart LLC provides award winning artists, with years of fine art experience, passionate about art and bringing joy to children and adults through their skills in face painting, caricatures and balloon art twisters! We delight in the success of making every event a pleasantly memorable one! I am an award winning artist with concentration in varied art mediums. With years of extensive fine art training, workmanship & production, I seek to make all special events exceptional! LA Partyart LLC team of artists are all award winning professionals. Our goal is to bring efficient, exquisite, quality party art entertainment to your event via face/body painting, balloon twisties/centerpieces, themed caricatures & all design work. We are passionate artists, our mission is to elevate your party with exciting art work! Many mentors, coupled with extensive Fine Art classes, and independent Art study have been beneficial to the enhancement of our skills. Art is its own inspiration. Art is a gift.